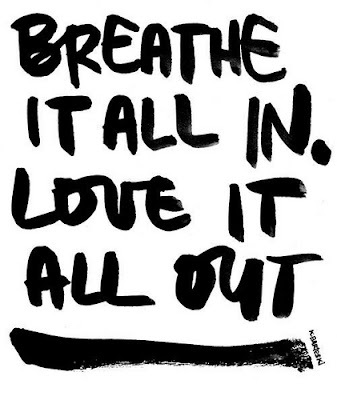 It's going to be a busy week, so I'm going to try to remind myself to just breathe! Such a good way to go into the week! aww so sweet...I shall adopt that saying also this week! Me too! Thanks for the quote. It's going to be a great week! love this ~ choosing a weekly mantra that relates to what's going on in your world is a great idea! Love this! :) It's a great inspirational quote! Right there with you lady! and stay positive... have a great week! Love this quote I posted this on my FB and Instagram a little while ago!! So true and words to live by <3 Happy Monday! Thanks for the reminder. I was forgetting to breathe myself this morning, so I totally needed it. Hectic times all around I guess!